Evaline Stoker and Mina Holmes never meant to get into the family business. But when you're the sister of Bram and the niece of Sherlock, vampire hunting and mystery solving are in your blood, so to speak. 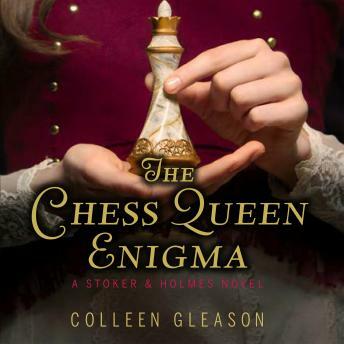 In this third installment of the Stoker and Holmes series, Evaline Stoker and Mina Holmes have reluctantly agreed to act as social chaperones and undercover bodyguards for Princess Lurelia of Betrovia, who has arrived in London to deliver a letter that details the secret location of an ancient chess queen that's been missing for centuries. But when the letter-which will heal a centuries-old rift between England and the Betrovians-is stolen out from under Evaline and Mina's watchful eyes, the two girls are forced into a high-stakes race to ensure they find the chess queen before anyone else does.